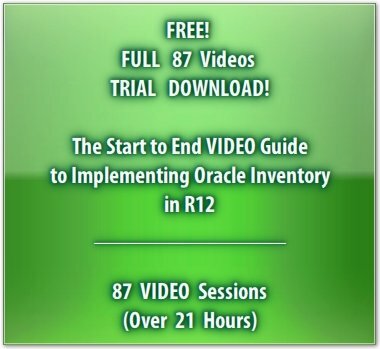 Oracle Inventory R12 can be very interesting and easy to learn. If you have a detailed video that guides you like an experienced mentor. A mentor who has been in the field. Who shows the skill and wisdom, that comes from live project implementation experience. This page gives you that video. Your Personal Tutor... in YOUR Laptop!!! Once you Download, learn at YOUR own pace. Once you Download, no Internet required to play the video tutorials! Can We Have a Trial Version... FREE? You try, before you choose to buy. Once you like the Tutorial, select from any of the Subscription options below, to get your copy of the eLearning Video. Only by Invitation... for our special customers! What are the Men and Women in Red doing? Well, it looks like they spend their day, managing this warehouse... and it seems to be keeping them pretty busy. Managing material in an inventory or warehouse is a skill that when successfully performed, ensures the profitability of the supply chain. Oracle Inventory transforms this art, into a science. How does Oracle Inventory Manage "Inventory"? 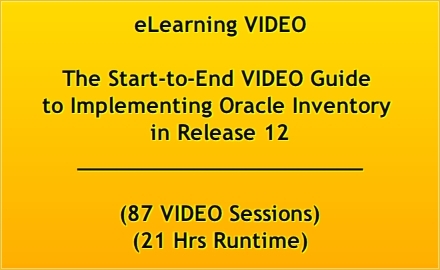 At this site, we are developing a Comprehensive Video Course on managing Inventory using Oracle Inventory R12.